Sermon library organized by series. Sermons integrated with iTunes as a podcast. 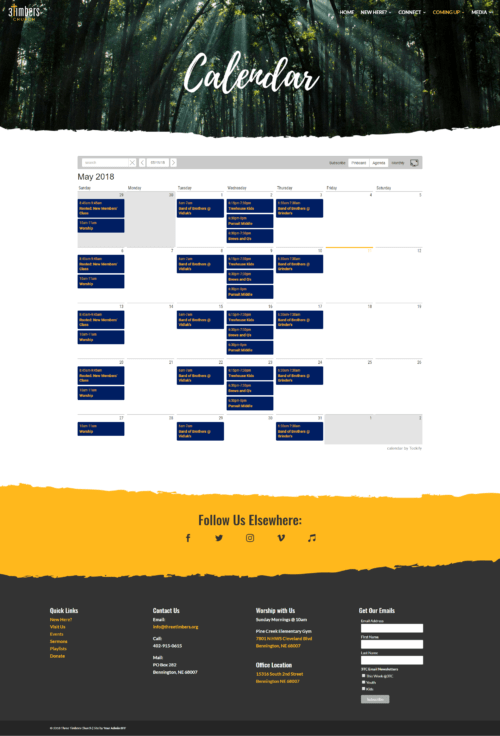 Church event calendar embedded on site. Ongoing support includes updating featured events, adding sermons, and keeping the plugins and theme updated. Other features include pages for each church group, welcome & belief statement pages, and a contact page. Three Timbers’ previous site was no longer meeting their needs, and the framework it was on made it difficult to customize and revise. 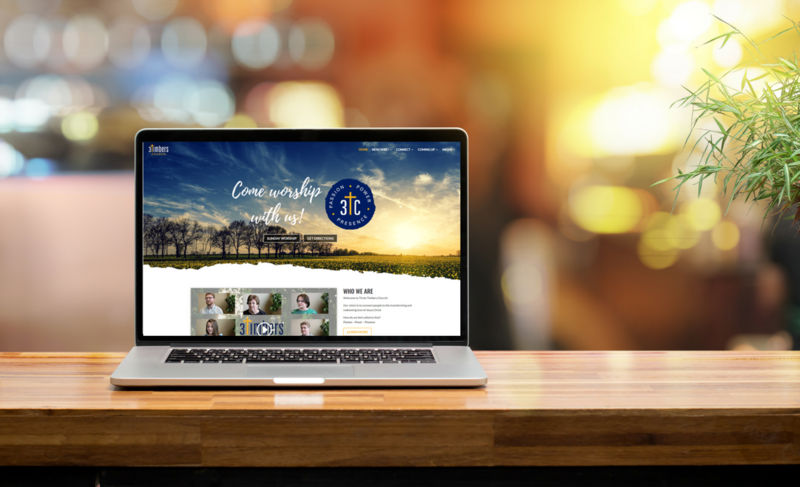 We moved their site onto Divi and gave their site a brand new appearance to complement their new logo and implemented easy-to-update announcement and calendar pages. Their new site also needed to be able to integrate with their podcast setup and include their extensive sermon archive. We built a sermon library for them with embedded audio players and download buttons for both the sermon audio and the study guides, set up an off-site storage solution to host their audio files, and integrated their sermon library with their podcast. Our ongoing commitment to Three Timbers includes keeping their site updated, sermon library up-to-date, adding new announcements to the site as-needed, and assisting with their regular church emails.